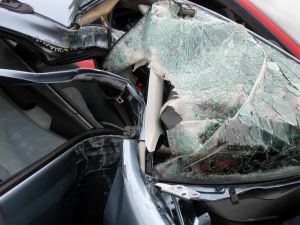 Our Fort Myers accident attorneys frequently report on the dangers faced by teenagers behind the wheel, particularly when it comes to distracted driving. Earlier this week, we reported on our Florida Injury Lawyer Blog when an auditorium of Florida teens began jeering at the prospect of not being able to use their cell phones behind the wheel. Now safety organizations are teaming up to encourage teenagers to develop a public-service radio announcement on the dangers of distracted driving that will appeal to teens their own age, the Business Journals reported. The National Road Safety Foundation and the National Student Safety Program are launching “JST DRV,” a radio PSA contest. Teens are invited to submit 15- or 30-second PSA announcements on the dangers of distracted driving. The winning announcement will be broadcast nationwide during Youth Traffic Safety Month in May. Three runners-up will receive a $500 scholarship and a Bluetooth device. The winner will receive a $1,000 scholarship, a Bluetooth device and a trip to Honolulu for the Youth Traffic Safety Conference this summer. Teens ages 14 to 18 are invited to submit entries. Deadline for the contest is March 25. Health News Digest recently reported more than 680,000 motorists were involved in accidents with teen drivers in 2008. The National Highway Traffic Safety Administration reports 516 motorists were killed in Florida car accidents involving teenagers in 2008. Of those, 153 were occupants of other vehicles and 62 were non-occupants, such as cyclists or pedestrians. Only California and Texas reported more teen-driving fatalities. More information on the contest is available at www.nrsf.org.